We all have those days, even those of us making running our livelihood as well as a hobby. Days when, for whatever reason, and sometimes for no reason at all, we just don’t want to run. The pull of the duvet or the sofa is greater than the pull out of the door. 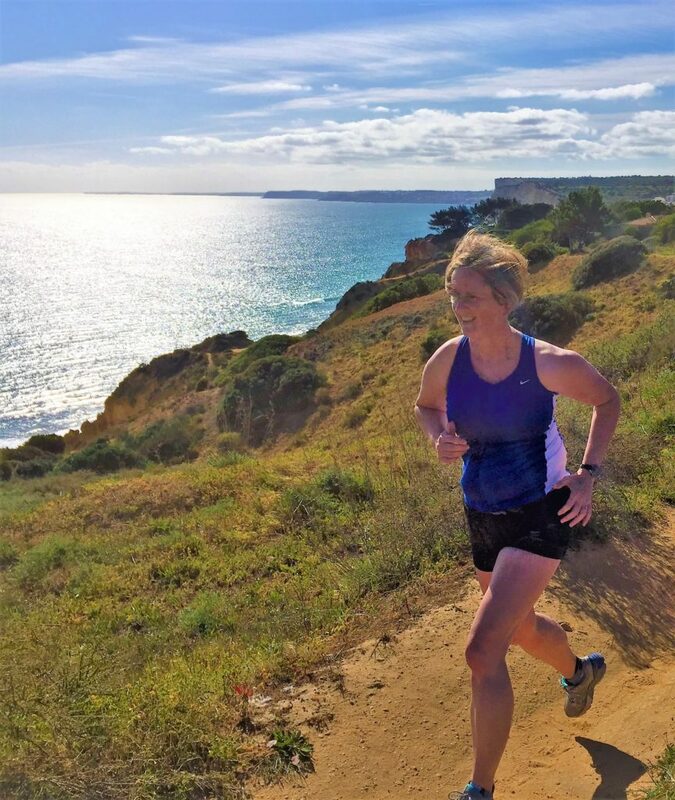 Now and again it’s fine to accept that; if you really, really, really don’t feel like putting your running shoes on and heading onto the trails, you could be heading for burnout. A day, or even longer, doing something else entirely could do you the world of good and result in you coming back stronger and raring to go. On the other hand, lack of motivation is often a more temporary occurrence. Perhaps you’ve got home late from work and the thought of your favourite TV programme is calling; perhaps it’s dark and cold outside and you just can’t be bothered to wrap up. Your head and heart say ‘Run’ but your inner chimp is tempting you not to. What little things can you do to make sure that in the battle between you and your chimp, you win? Here are some strategies that help me – I hope they will help you too. Have a goal that you really, REALLY want to achieve. It could be something as simple as being able to get back into your favourite jeans or beating your own parkrun time. For me, a having a more major goal such as completing an iconic race, is the key. Whatever it is, it needs to be something you want so badly that you’ll get out of that door and run, no matter what your chimp says. Make a change. If you normally go for a longer, slower run, try running short and fast; if you like to head out in the evening, try an early morning session. It doesn’t matter what you swap; just try it! They say a change is as good as a rest and that applies just as much in running too. For a hardened trail runner, a road race can make a nice change! Set a date, a date and time to run with someone else that is. It could be a friend who you meet before work; you wouldn’t let your friend down, now would you? Going along to a running club or group session works too; just remember to put it in your diary just like you would any other appointment. If you can, tell someone you’re going; it’s often easier to go along than to explain why you didn’t! Find yourself a nemesis. Unless your name is Usain Bolt, there is someone out there who runs just a bit faster than you. Not so fast that you have no hope of ever catching them, but someone who is just far enough ahead that catching and passing them is something you could realistically do. They might be in your running group or at your parkrun, or maybe they are just someone you see running along your street. If you get out there and train you are increasing your chance of catching them, especially if their chimp has persuaded them to stay at home on the sofa. When you do catch and pass them, find a new nemesis to add to your list. Even better, have two or three on your list at the same time for double or triple motivation to train! Plan a reward for yourself, something healthy that won’t undo all of your good work of course! It could be £1 in a jar at the end of every run, saved towards those dream running shoes you have seen, or an hour in a hot bubble bath to warm up after that cold wintery run. It could be a can of ice-cold coke at the end of a very long run (OK, that’s not very healthy but it works for me after a long, hot 22 run!) or a day out at the seaside with the family. What the reward is does not matter, as long as it works for you. Give yourself something to look forward to after the run - or during it! Set yourself a limit. Tell yourself that you will go out but you are only allowed to run for 10 minutes and then you must stop and go home. Do it and the chances are you’ll want to carry on. Some of my best runs have been on days when I nearly didn’t go out at all but allowed myself 10 minutes and then kept on going because I just did not want to stop. We all make mistakes when we first start running. 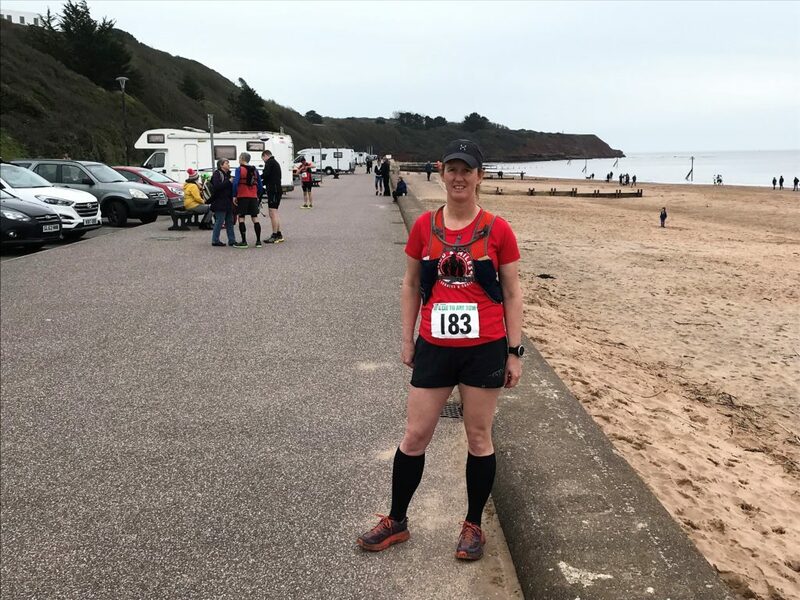 Whether it's running in unsuitable shoes that give us blisters, or doing too much, too soon and injuring ourselves, we all go wrong somewhere along the way. At some point, maybe when sidelined by injury or frustration that we aren't getting any faster, we look back and wish we'd done things differently. You don’t need to run as fast as you can all of the time. You’ll make much better progress if you run up to 80% of your mileage at an easy effort and save the hard effort running for speed and hill sessions only. 2. Rest and recovery are vital, especially after hard sessions and races. Without them your body will never be able to take on board all the training you have done. 3. Sleep aids recovery so get more of it, and make it better quality sleep too. If you can't sleep well because of other stresses in your life, it will affect your running. 4. Running should only form a percentage of your overall training, not all of it. Well thought-out cross-training will enhance your running, not detract from it. 5. Strength and conditioning work is vital, especially if you are female and beyond your twenties. Without it, your risk of injury is higher. 6. There is technique to running, technique which most of us had when we were children but have lost as we’ve aged. Relearning it and practising it can help you run further, faster and with less risk of injury. 7. You don’t have to enter every race that you hear about or that your running friends are doing. It’s easy to become jaded and burnt out by putting yourself under too much pressure to perform. Be picky! 8. Running on trails lessens the impact on your legs and makes you stronger overall, so do more of it, even if you are a hardened road runner. Whether you’re heading out for your first run in the dark, or an old hand looking to upgrade, choosing the right headtorch for you can be a real headache. There are so many models out there, so many options. Here are 5 things to think about that will help you make the right choice. 1. Do you want to see or be seen? 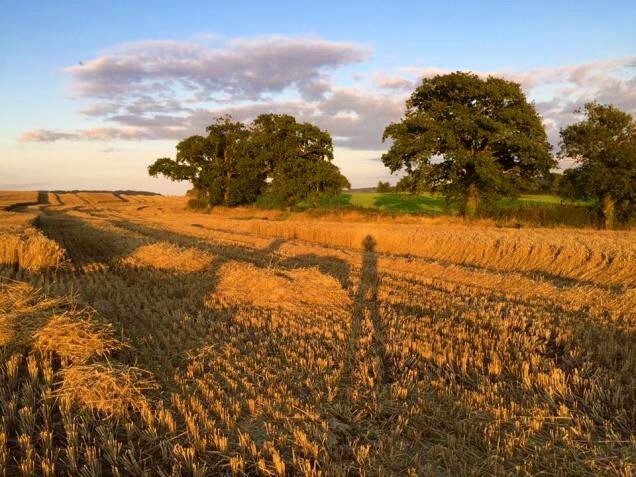 If your main reason for buying a torch is to make sure that others can see where you are, for example if you run along quiet country roads, then pretty much any headtorch (or even a chest-torch*) will do the job. If you want to be seen from front and back, look for a torch that has a red flashing light at the rear of the head-strap. 2. How long are you likely to be running for? For occasional runs of an hour or less, a headtorch that takes regular disposable batteries will be fine. If you are likely to be running for longer, a torch that takes rechargeable batteries (or both) may well work better for you. Look for a headtorch that has battery-saving features such as a dimmer switch, and be aware that using the torch on the brightest setting will drain the battery quickest. Rechargeable battery, disposable or both? 3. Where will you be running? In a nutshell, the more technical/difficult the terrain you will be running on, the brighter the light you’ll need. The light strength of a torch is measured in lumens. For running on smooth, flat trails a basic torch with between 30-100 lumens of light would suffice. On a technical mountain path, a much stronger light would be needed – at least 300 lumens (top of the range headtorches are now in the region of 750 lumens). Whilst thinking about how bright you need the light to be, consider how far ahead and how wide you need your path ahead to be lit up. Some of the brightest lights have one LED, giving a very bright but narrow beam of light ahead. A headtorch with 2 or 3 LEDs may not be quite as bright but will give a wider beam of light, which can be more useful on technical terrain. The best of both worlds can be found by choosing a torch that has an adjustable beam, so you can have bright and narrow when you need it, and a slightly dimmer but wider beam when you don’t. 4. When will you be using it? If you are going to be using your headtorch during cold weather, look at the features it has with that in mind. Will it fit comfortably over your hat? Are the buttons easy to use with gloves on? And if it rains, will the torch and battery pack fit under your hood if needed? For warm-weather use, consider if the strap is secure enough to stay on your head without some kind of headwear underneath, or will sweat cause it to slip? Buttons and dimming mechanisms - how easy to use with gloves on? 5. What is your budget? The price range for headtorches is vast. At the cheapest end of the range (often around the £5 mark) they may not have been designed specifically for running so may not be suited to being used on the move. At the top end, with prices of £150 plus, the number of features may be quite overwhelming, and, for many runners, unnecessary. Good quality brands to look for include Alpkit, Silva, Petzl, LEDLenser and Black Diamond – you really can’t go wrong with one of these. *whilst a chest-torch is great for being seen on the roads, it's really not suitable for running off-road. The light points straight ahead rather than down, so the ground ahead is not lit up enough. You need a torch on your head! Just how do you get all of the mud off your trail running shoes? Should they go in the washing machine? No! Is there some fancy method that's needed? Watch and see that the simple ways are the best! Do you ever (or always!) start running without warming up first? Have you ever headed straight out of the door for a run and felt awful for the first mile? Here's why taking at least 5 minutes from your run to warm up really is worth your while! Are you in need of some new trail running shoes but baffled by the wide range of choice available? These tips will help you choose the right shoes for you! Are you a parkrunner? Do you put yourself under pressure to run a PB every week? Here's how you can take the pressure off and improve your running at the same time too! Way back in 1988, I walked the Coast to Coast path with a friend. 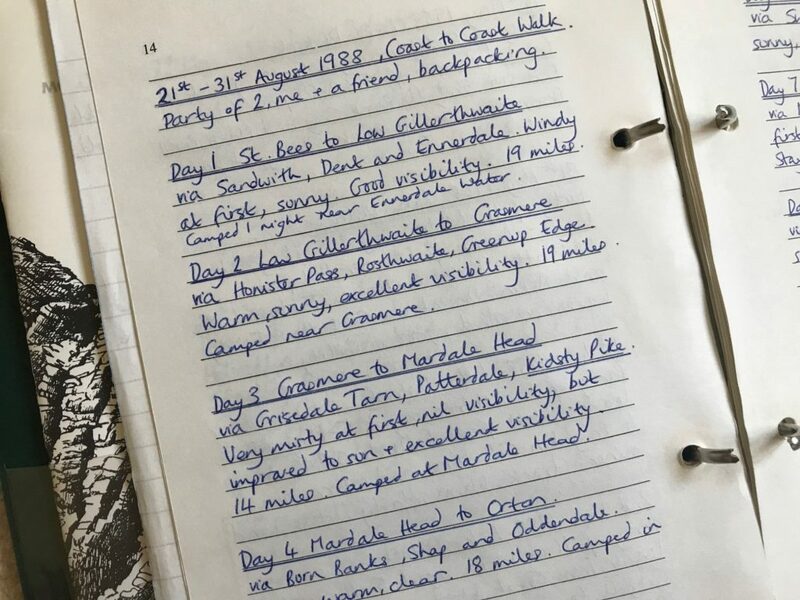 Backpacking and camping, it took us 3 ½ days to cross the Lake District and we were mightily pleased with that. We thought we were invincible. 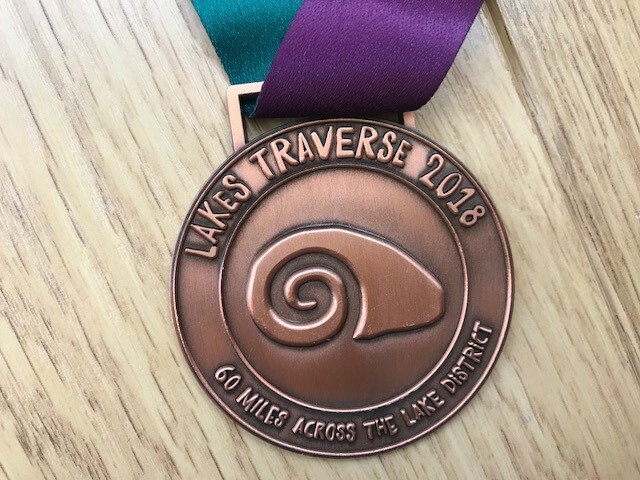 So when I learned that the Northern Traverse race 2018 was going to include a shorter, Lakes Traverse option, it jumped straight to the top of my to-do list. 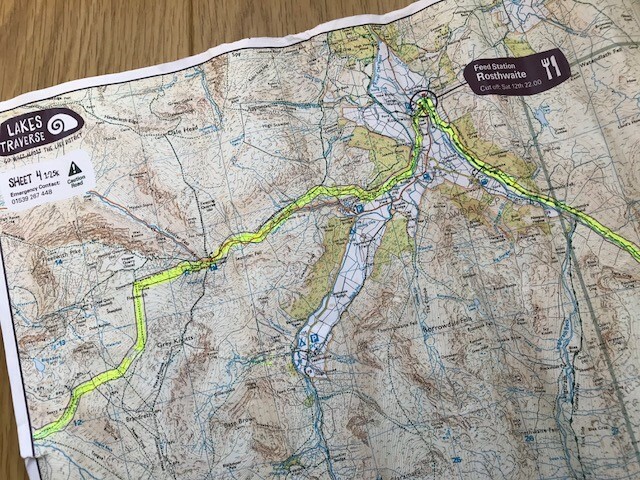 I was looking for a 50-mile ultra somewhere in the Lake District, and although this one was advertised as 60 miles, it otherwise ticked all the boxes. Point-to-point, low-key, with only 2 feed stations and the requirement to self-navigate; it was my kind of event. After six months of very focused training, I found myself queuing for my race number, surrounded by some seriously inspiring runners. Most were about to set off for Robin Hood’s Bay, 190 miles away; only 36 of us were taking the ‘short’ option to Shap. Having never run more than 32 miles before, I wondered if I was out of my depth. But it was too late for worries. The race briefing over, we headed down to the beach for the start, where the pre-race buzz was contagious. 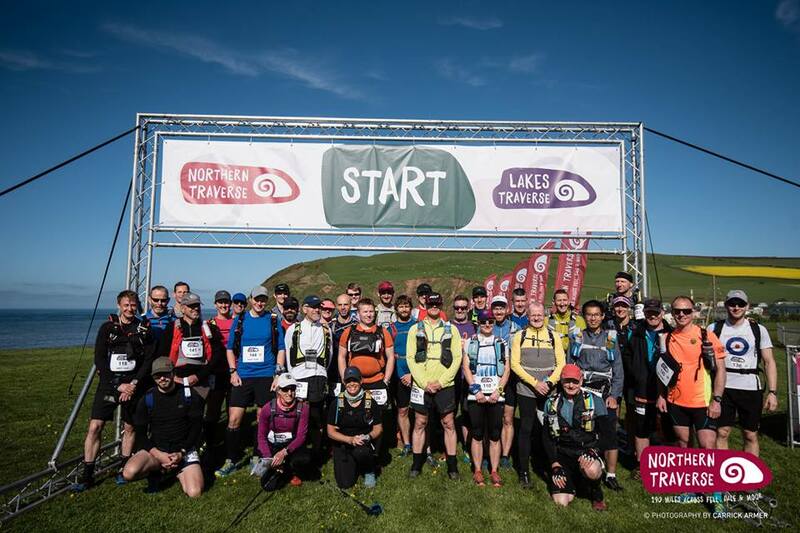 As the Northern Traverse runners set off over the cliffs (with a half hour head start), it all started to seem very real. We posed for photos and it was our turn. All ready for the off - only 60 miles to go! The countdown started and before I knew it, I was on my way. The first couple of hundred metres were pan flat so I allowed myself to run. I knew that my ‘walk the uphills’ strategy would need to kick in as soon as the path headed uphill and over the cliffs. With such a small field, we were soon pretty spread out, so I had plenty of space to enjoy the stunning views. The sea was deep blue, the gorse bright yellow, and the red sandstone reminded me very much of the cliffs of east Devon. I should mention now that I had made a deliberate decision not to take photos during the race, as I wanted to avoid time faffing about. I was pretty sure I was capable of finishing well within the 28 ½ hour cut-off, but I’d have hated to have missed it by minutes because I’d wasted time. That blue and yellow sea scene will remain in my head for a long time though. 4 miles done, 56 to go. After about 4 miles the route left the cliffs and headed inland, bringing some of the easiest running of the race. Cycle paths and field crossings with not much ascent all meant that I could buy myself time for when things got tougher later on. I’d covered about 6 miles when I passed an old farmer who was sweeping his yard. He tutted with a toothless grin and said ‘You’re way behind the rest you are’. Thanks! It made me smile though; I wasn’t right at the back, we were just very strung out. I had already got used to not being able to see any other competitor at all. In fact, I probably spent 75% of the race alone. 10 miles done, 50 to go. It was a cloud-free day and pretty warm, so I popped into a shop in Cleator to buy some ice-cold water. I suspected I’d run out before the next topping up point, at about 26 miles, and I knew that the first proper climb was imminent. Heading up and over Dent, I was glad of its coolness; the water in my drinks bladder was already very warm. It was on the descent that I made my first mistake. I turned down a steep, forestry track, arrived in the valley below and just knew I'd gone off-course. My first thought was ‘Oh no, I hope no-one is following my tracker online. They’ll see I’ve gone wrong!’ It turned out that, up on the felltops several miles away to the north, my husband, Richard, had indeed seen my error and was screaming for me to put myself right. I stopped for a few minutes and with map, compass and some intricate back-bearings (not easy in a forest!) I managed to get myself back on the right path and heading for Ennerdale Bridge. 15 miles done, 45 to go. Caught on camera and interviewed for the daily race film! The lakeside path around Ennerdale rose up and down, steeply in places. Just before the end of the lake, Jim, also in my race, caught up with me. He was the first competitor I’d seen for ages, so we ran together for a bit before he headed off. For the whole of the next 4 miles to Black Sail YHA, we remained exactly the same distance apart. I was run/walking and so was he, so every time the forest track straightened out, there he was ahead. I found this very reassuring. I popped into the YHA kitchen to refill my water; three Northern Traverse runners, Jonathan, Martin and Peter, were having a brew. They soon caught me on the climb up towards Honister, and I passed them again as we headed down to the mines. They finally crossed their finish line 4 days later. Respect to them all. 27 miles done, 33 to go. Running along the Ennerdale lakeside path - enjoying myself! At Honister, Richard popped up to say hello. He joined me for a little way with me to check how I was. I’d covered 27 miles and couldn’t quite believe how good I felt. I knew the next section really well as I’d done it in the Four Passes race last autumn; it was an easy descent to Rosthwaite and the first feed station at 30 miles. I was apprehensive about sitting down to be quite honest, as I feared I wouldn’t be able to get going again, but I needed to eat something more substantial than the snacks I’d been having along the way. Soup and sandwiches washed down with Coke was just what I needed, and I was soon ready to head out again. Just as I was leaving, I was surprised to see Peter (who organises the lovely local LincsBox event) come in with Stuart. They’d been ahead of me but due to a navigational error (theirs, not mine this time), I’d got ahead. I’d see them again much later on. 30 miles done - halfway! I wasn’t really looking forward to the next section; the climb up and over Greenup Edge. We’d reccied this in March, in deep snow, and I was hoping that the navigation at the top would be easier this time. It’s a bit flat, bleak and boggy up there. Pepped up by the Coke, I motored along the flatter part of the valley before slowing considerably for the steeper climb. I found the cairns that led the way over the top and the long descent into Grasmere. By now it was mid evening and starting to rain. The daylight was fading fast and the path into the valley went on and on. I got all the way to the village edge on night vision alone before realising I had overshot a left turn. I was about to dig out my headtorch when I saw a bright beam heading towards me. Mike, a Northern Traverse runner, had also passed the turn so we headed back the 100 metres or so together. He might have regretted teaming up with me when, out of the blue, Tonia, a good friend of mine who lives in the village, appeared on the road with Richard and her son, cheering like mad things! That was a lovely surprise, and it set me up nicely for the next climb to Grisedale Tarn. 39 miles done, 21 to go. It was pitch black and raining more heavily as Mike and I plodded up the hillside together. A bit of faffing went on as we climbed the steep path. Putting on waterproofs, sorting my Garmin as the battery had decided to give up, and getting ourselves back on track - we mistakenly went over a footbridge and started to descend on the wrong side of the river. Mike was having problems with his feet but I still felt really, really good. 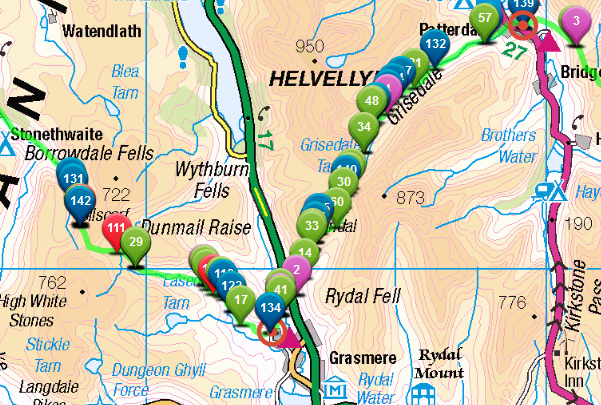 Just after 2am we finally arrived at the next feed station, Patterdale, at 46 miles. I was surprised to find Richard there, chatting to various competitors. I noticed Peter and Stuart at the table; they’d overtaken whilst Mike and I were on our footbridge ‘detour’, as had Lora and Thorlene. I should perhaps mention that there were only 6 women in the race (there were 5 DNSs), and the last time I’d seen one of them was on the ascent to Dent, when Lucie, the lady who eventually came third, was just ahead of me. Lora and Thorlene had been behind, so I was in 4th place. Once I’d eaten my jacket potato, beans and cheese, a massive Bakewell tart and downed some more Coke, I changed my wet top for a drier, warmer one and headed back out into the night. 46 miles, done, 14 to go. Kidsty Pike is the highest point on the route at 2560 feet and this was the climb I faced at 3am in the dark and pouring rain. I knew that Peter and Stuart were about 10-15 minutes ahead, but I was otherwise alone. On the first steep slope up from Patterdale, my headtorch battery died, so I had to change the batteries by the light of my watch; not easy! Sorted, I carried on up, noticing that although it was still pitch black, the birds were starting to sing. Dawn was on the way. Minutes later, for some unknown reason, my new batteries died too, so there I was, high on a mountainside, in the rain, unable to see a thing. Luckily the path was a light-coloured rock and so I hesitantly inched my way forward until the sky lightened a bit and I could see. This all coincided with me reaching the point at which, on the recce, we had misread the map and gone up an extra summit by mistake. I was determined to find the right path this time. I did, but noticed a Northern Traverse runner had gone the wrong way I shouted at him to come back. He then sped off, so yet again I was alone. It was OK though – I was quite content moving along by myself. 50 miles done, 10 to go. In my mind I had an image of a glorious sunrise over Kidsty Pike but the reality was nothing but a cold, grey gloom. I was keen to get down and onto the home stretch. The descent was, however, not quick. It was steep, rocky and boggy, and four times I fell flat on my back. I was wearing my Hoka Speedgoats, which have great grip on wet rock but little traction in wet mud. On fall number four, into yet another black, boggy swamp, I swore out loud for the only time during the race. I was cold, wet, and ready to finish. There was, so I thought, only another 7 miles to go and I’d be home and dry. As the sun warmed me up and I started round the lakeside path, my thoughts turned to a nice cup of tea and some breakfast. It was now around 7am after all. The far end of the lake never seemed to get any closer though, and I could start to feel my feet becoming sore. They’d been wet and dried off more times than I could care to remember in the last 23 hours. I knew I must be tiring as I started to hallucinate somewhat. There was a row of Peruvian women in yellow costumes lined up alongside the track, and a stream where all the rocks were labelled with handwritten signs saying ‘rock’, ‘stone’ and ‘pebble’. I nearly tripped over the red and yellow paracetamol capsules littered all over the path. It made me chuckle to myself as I walked along! 56 miles done, 4 to go. As I reached the fields with just a couple of miles to go, I saw two figures ahead. It took a long while for me to realise that it was Peter and Stuart. They were moving very slowly so, despite my searing foot pain, it didn’t take me long to catch them. I joined them for a while for some company. Together, we realised that the next two miles were actually going to be more like four. The other unfortunate feature of this part of the course was the stiles. There had been no stiles at all until now, not one, and now there were loads; not ideal after nearly 60 miles. As we pulled ourselves over each one, I noticed Lora and Thorlene catching up, and before I knew it they had passed me. I liked to have gone with them but whilst my head was willing, my feet just couldn’t do it. They were spent. 60 miles done, 4 to go! Leaving Peter and Stuart behind, I joined a group of Antipodean walkers for the final field crossing; well, they were forced to join me as they had to wait while I slowly manoeuvred myself over the final stile. ‘Gee’ was all they could muster having asked me where I'd come from. They told me it had taken them five days to walk to that point from St Bees. 63 miles done, 1 to go! The final stretch to the finish line was painful. Shap is built along one long, straight road. I’d entered the village at one end and of course the finish line and village hall were at the other. I trudged along the tarmac willing the purple flag to come into sight. Eventually I spotted it, along with one very excited husband. 25 hours and 12 minutes, nearly 64 miles and over 12,300ft of ascent after leaving St Bees I crossed the line, one very, very happy runner. I’d really not known what sort of time to expect, so to finish more than 3 hours inside the cut-off, 26th finisher and 6th woman I was pretty pleased with. 64 miles done, 0 to go. Having had a finish line photo taken and a rather lovely medal put round my neck, I limped inside. How on earth was I going to remove my socks and shoes? I was scared to touch them but they had to come off, as I was in agony. With some very gentle peeling, I unearthed the damage; white, sodden skin that looked like it had been attacked by a lawn aerator! With some warm socks on and the promise of a fried egg sandwich and a cup of tea from one of the wonderful volunteers, all was soon right with the world. I ate and drank and was delighted to see Peter and Stuart cross the line, followed by Jim who I’d followed all those long miles ago through Ennerdale. Phil, who I’d first met at YHA Black Sail on the March recce arrived on his way to Robin Hood’s Bay, and then Martin and Peter from the Honister climb. It was like one big family reunion. Despite spending a lot of time on my own on the course, running and walking in my own little world, the people I met made this race. 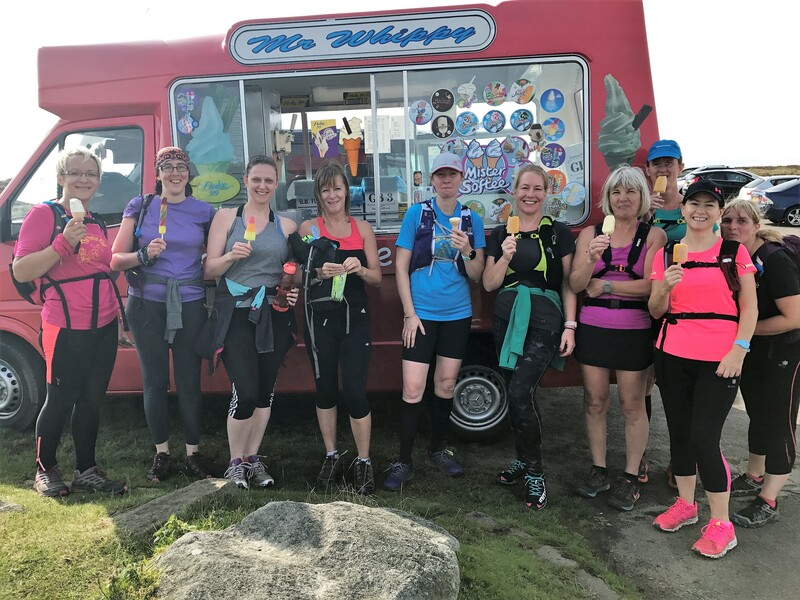 From the camaraderie and support between competitors to the genuine kindness of the volunteers; from the thought put into absolutely everything by James and Open Adventure, the race organisers, to the random members of the public who gave encouragement along the way; everyone was amazing. And of course, the support of my husband Richard, who put up with my training, helped me recce the route in some of the coldest weather imaginable, and not only popped up now and again along the way but also kept all of my ‘dot-watchers’ updated online; many good husband points! After 5 months of solid, event-focused training, it’s finally taper time - hurray! I’ve run 888 miles in that time, including 62,475 feet of ascent, and my body is crying out to cut back. On one level I’m feeling great, fitter, stronger and faster than I have done in a long time, but I can feel a deep fatigue inside me too. It's time to put my feet up! My trip to the Lakes took some recovering from. It was a good two weeks before I felt back on form and the training benefits started to come through. 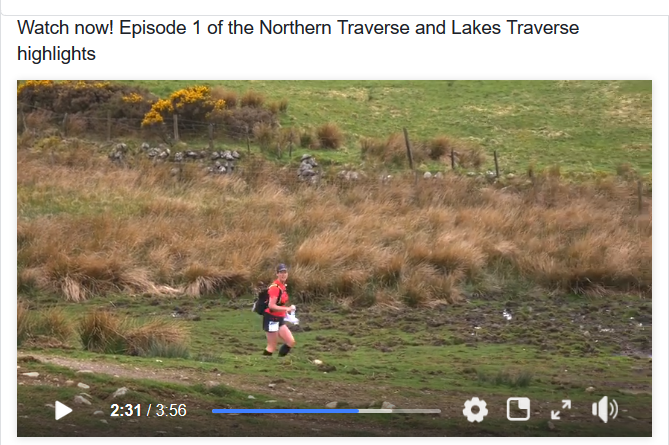 My partial rejuvenation coincided nicely with the Exe to Axe race, which was a key event for me in my Lakes Traverse build-up. 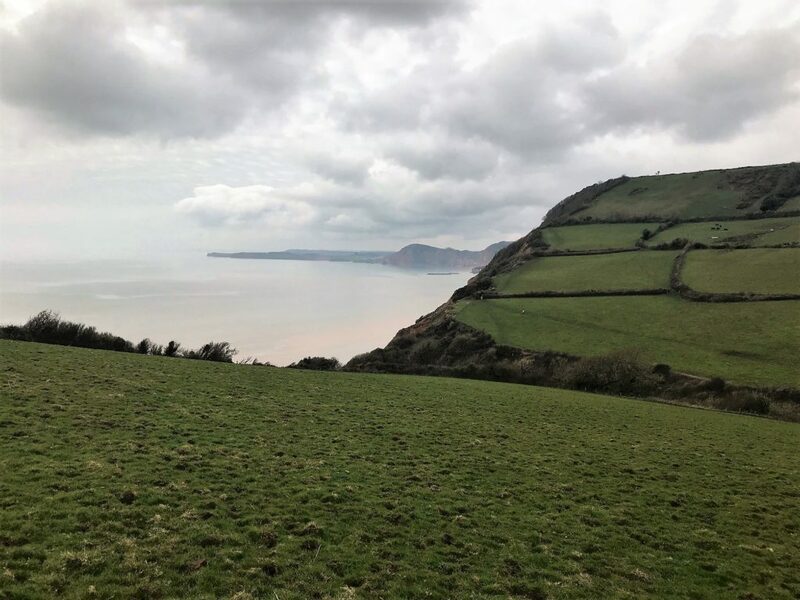 Classified as a fell race, this lovely low-key event takes in just over 22 miles of the South West coast path in Devon. It includes over 4000 feet of ascent on cliffs at least as steep as anything I’ll encounter in the Lakes. I first ran this race 10 years ago and loved it, and knew it would be a perfect preparation race. 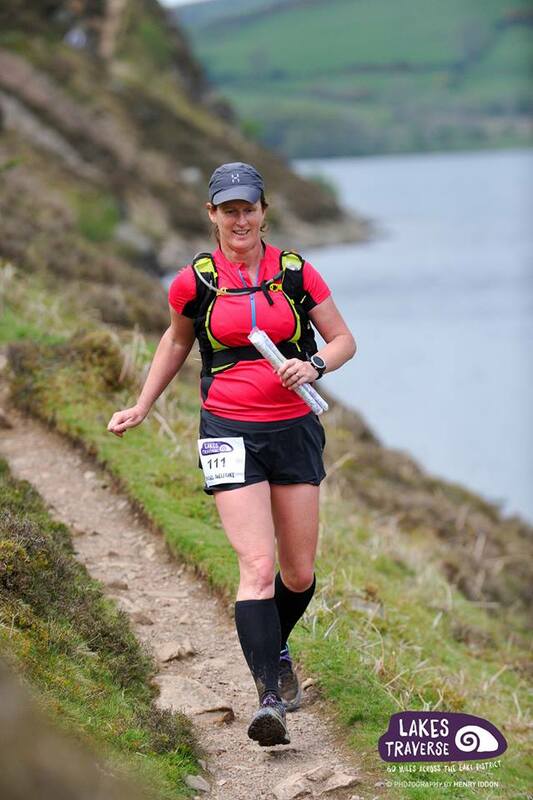 My plan was to practise my race strategy; running the flats and the runnable downhills and walking all of the uphills. In the Lakes I’ll have to keep moving at 25 minute miles or faster. In this race I needed to maintain at least 16 minute miles to avoid the 6 hour cut-off. I planned to run very easily and scrape in just under 6 hours. Conditions were perfect for race day; cool and overcast, with only a gentle breeze, and I felt great as we headed east along the coast. I deliberately put myself near the back of the field; the tail runner was in sight for the first 15 miles or so. The first few miles were pretty gentle and I got into my groove well before the first biggish climb and descent, just before half way. It was great to arrive at the 11-mile checkpoint feeling as if I’d barely run at all. The second half was very different terrain-wise, with relentless steep climbs, many of them on wooden steps. These were followed by equally steep, quad-crushing descents, made all the more challenging by the mud. There was lots and lots of sloppy, gloopy mud. I christened one set of steps ‘slurry steps’ for every tread was full of wet mud, with very little to actually step on. My progress up some of these steps was painfully slow to say the least, and certainly nowhere near a 25-minute mile! I was feeling good though, very good, both physically and mentally. Flat, dry, mud-free sections were few and far between! 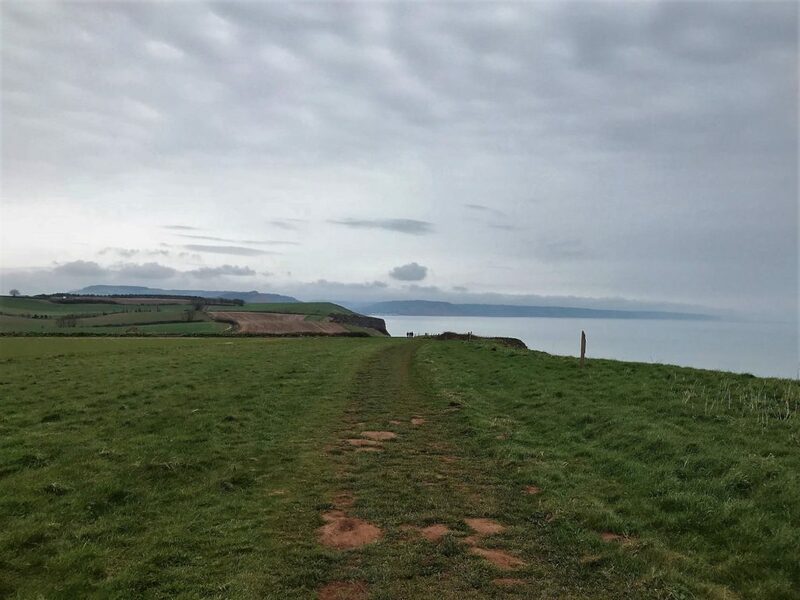 Once over the last of the big climbs I was able to pick up the pace over the grassy clifftops and along the flat seafront to the finish without any problem. Crossing the line in just over 5 and a half hours I was rather pleased; pleased with how I’d paced it and pleased with how I felt. If I can run like that in the Lakes, I’ll be over the moon. In the couple of weeks since Exe to Axe, I’ve been totting up the miles with lots of shorter runs. Despite that deep-down tired feeling, I’ve managed yet another parkrun PB, proof that running lots of long, slow miles is great for developing speed. Hot days often come as a bit of a surprise in the UK. With our unpredictable weather, they are also a shock to the system when running. Having trained in cooler conditions, our bodies can find it tough to suddenly be asked to run when the sun is beating down. So, what can we do to cope on the hottest days and ensure that there is minimal negative impact on our running? There are lots of things that will help keep your cool. Run early in the morning or late in the evening if you can. The air temperature will be cooler, so you will be too. A sunrise or sunset run can capture the best of the day, and a torchlight run in the dark can be great fun in warm weather. If you need to do a long run, consider splitting it in two. Run the first part in the cooler evening air, then get up and do the rest the next morning. You’ll still get a great training benefit, but without needing to run into the hottest part of the day. However you schedule your long run, don't forget to run at an easy effort level. Take water with you; there is a myriad of liquid-carrying devices available. If you don’t want to carry it, then plan a route that passes somewhere you can get some; perhaps a mountain stream (the faster-moving the water, the cleaner it is likely to be - you could carry a purifying device if you wish), a village shop or an ice-cream van. Be careful not to overhydrate though; drink to thirst. If you are prone to sweating as lot, you might like to consider adding electrolytes to your water to replace lost salts. Wear a cap, hat or buff to keep the sun from your head. Wetting the fabric can help you feel cooler too for a while. You could also wet a buff and wear it around your wrist, as this can feel quite cooling. Remember to wear sunscreen. All-day brands can often be less greasy than regular products. They'll be less likely to run into your eyes and cause stinging. Consider the fabric and colour of your running clothes. Wicking materials will transfer sweat away from your skin and lighter colours will absorb less heat. Choose your socks carefully, as feet can often overheat inside running shoes. Sweaty feet can result in blisters and uncomfortable burning sensations. Choose your route for maximum shade and breeze. Woodland runs are fantastic in hot weather, and the tops of hills and cliffs likely to have more of a cooling breeze. 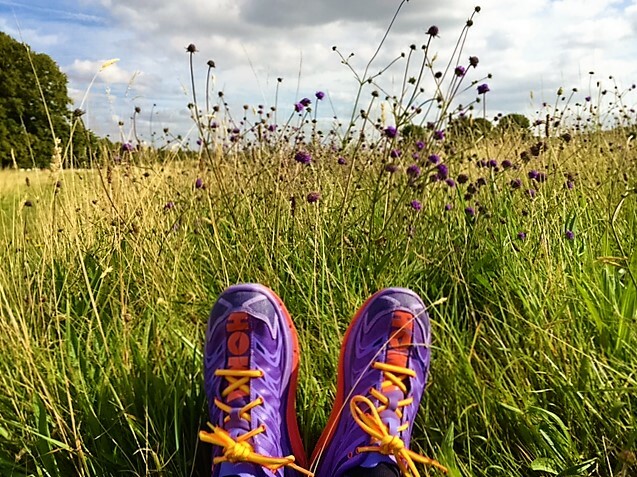 Running on grass will help you keep your cool too as it does not reflect heat like rockier surfaces do. Walk if you need to, and if you start to feel unwell, stop. Rehydrate and cool down when you have finished. Consider a drink with rehydrating salts and stay indoors or in the shade for a while if you can. If it really feels too hot to run at all, then change your plans. Try a cooler form of cross-training, such as a swim, or go for a long walk instead. Taking an extra rest day is a good option too, one that your body will probably thank you for. Heat can be debilitating, so take care of yourself while it lasts; if you’re in the UK, the chances are it won’t be for long! Sign up for news, advice and special offers!